If you own a business in Ontario, Wayne County, or Sodus that regularly handles customers’ vehicles, you may want to consider garage insurance to make sure you’re covered. Garage insurance applies to businesses like car dealerships, service stations, repair shops, body shops, and tow truck operating companies. You may think that commercial general liability insurance covers these vehicles, but that usually only applies to your own vehicles and those of your employees. Garage insurance bridges this gap and protects you from any damage or liability related to your customers’ vehicles. Find out more about garage auto insurance from Farmers Insurance and Peake CDJRF and decide if it’s the right choice for your business. Basic garage insurance coverage protects your business from any bodily injuries that occur in your garage. This covers the medical expenses for the injured party, up to the policy’s limit. Basic garage insurance may also cover liabilities related to the business operation, such as employee lawsuits, vandalism, or theft. Garage insurance can also extend to any products you make or sell. If a customer’s property is damaged from using your product, such as an installed part, you’re covered. Garage insurance may also cover some aspects of company vehicles, but you may need commercial auto insurance to be fully protected. Garage-keeper’s insurance applies to the vehicles in your care, custody, and control, and covers property damage. This is an additional garage insurance option that isn’t covered under a basic garage insurance policy. This property damage could range from a fire to coverage for damage that occurred during a test drive since basic garage insurance only covers bodily injury in the event of an accident. Does My Business Need Garage Liability Insurance? A business garage stores important equipment and machinery that could be difficult and costly to replace or repair. 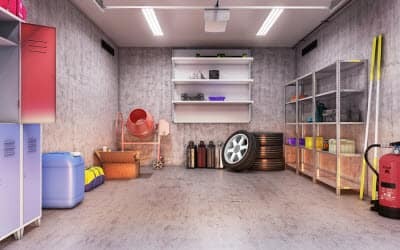 This equipment needs to be protected against damages, theft, or vandalism, so investing in garage insurance could give you some peace of mind for your business and your professional reputation. 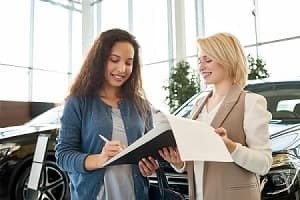 It’s up to you to decide if your particular business risks warrant additional garage insurance coverage, but keep in mind that this is a low-cost insurance option that protects you against a variety of situations that could be expensive and damaging. If garage insurance seems like the right choice for your auto body shop, towing company, service center, or car dealership, contact Peake Chrysler Dodge Jeep Ram FIAT to get your garage insurance quote and learn more about your policy options. We’ve helped many business owners in Ontario, Wayne, and Sodus get the coverage they need for their business, so call or visit us today to make sure you have coverage for everything in your business’ garage!